Odours can be one of the most frustrating problems for any home or business. They often prove difficult to remove and in most cases require professional help to remove the odour. How often have you entered a friend’s home and noticed a distinct animal odour. Animals odours from urine or oils from fur are just one of the many odours homeowners have difficulty removing. Food odours from cooking oils and spices, volatile organic compound odours such as paint, and cigarette smoke, are also very stubborn odours to remove. Most of these odours cannot be removed with carpet cleaning alone. Some odours will require specialised chemical treatment, other odours will penetrate porous surfaces in the home and will require using sealing agents. The most difficult to remove odours, will require the use of machinery, such as an ozone generator, or vapour tech system. On a weekly basis, Breathe Easy Carpet and Fabric Care is contacted by potential customers, wishing to remove odours caused by animal urine pet stains. It is obvious these odours cause great stress to the homeowner, causing embarrassment and particularly for a home listed for sale or lease, even devaluing the home. Urine decontamination can be a very challenging task for even the most highly trained and equipped carpet cleaner. The pungent odour is due to uric crystals in the urine as well as bacteria that attach to those crystals . The uric crystals are activated by heat and moisture, be that from a homeowner treating the stain with hot water, or an untrained carpet cleaning operator or simply the warmer weather or humid conditions. In order to treat the odour, it is imperative to first dissolve the uric crystals responsible for producing the odour. Where there is extensive urine contamination, these crystals will be present in the backing of the carpet and underlay. It is also possible that uric crystals have penetrated into the sub flooring such as wood or concrete. 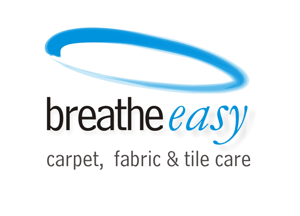 With over twenty-five years experience, Breathe Easy Carpet and Fabric Care technicians have completed numerous odour control courses and with our advanced detection and removal systems, we have developed effective processes for odour removal in particular, specialising in urine decontamination treatments. The process of removing odour can be a long and arduous process. As mentioned earlier, firstly we must locate the urine. An animal stain is not always visible to the naked eye and inspection of the carpet is done with an ultra violet light and a moisture meter. Once located, and in consultation with the client, we determine whether it is economically viable to restore the carpet with a urine decontamination treatment or is it preferable to replace the carpet. When replacing the carpet, it may also be necessary to seal the sub floor, to trap any uric crystals that may still be present. If it is viable to restore the carpet, we will commence a urine decontamination treatment process, starting with an acid PH pre treatment, to dissolve the uric crystals. Following this treatment we then flood the affected area with additional product onto the carpet, making sure enough product is applied to make contact with all of the urine in the backing of the carpet. Next, we flush and extract the urine with a sub surface extraction tool. The affected area is now ready for further urine decontamination treatments using various products such as oxidisers, enzymes, anti-microbial and deodorisers, choosing the best product for the particular fibre type of the carpet we are treating. In many cases, an untrained operator will treat odours with overpowering deodorises or masking agents. This does not treat the source of the odour, which is why Breathe Easy Carpet and Fabric Care regularly assists real estate property managers and commercial building managers to permanently remove cigarette odours, as well as cooking smells without the need to re-paint. We can successfully remove the following odours.